Today is the last day of 2016 and we are feeling a bit nostalgic around here @Psychsoftpc in Quincy MA. 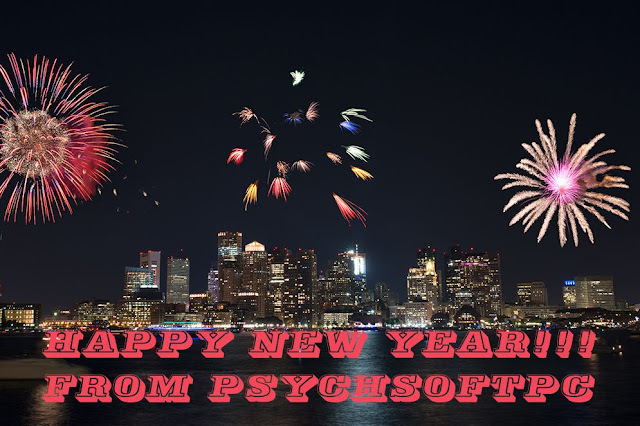 So I thought I would look back on some of the history of Psychsoftpc and let you the reader know a bit more about us along the way. Founded in 1987 by academics as part of an AIDS research grant under NIH and an outgrowth of the Dissertation of Dr. Tim Lynch, internationally recognized computer and robotics psychologist, Psychsoftpc started out creating Artificial Intelligence Natural Language software using Neural Net / Fuzzy Set Algorithms for DOD, NASA, NIH and the UN. Psychsoftpc and Dr Tim Lynch were the first to apply Neural Networks combined with Fuzzy Set Theory to the problem of Natural Language Artificial Intelligence and language disambiguation. The Natural Language AI developed used English as a Second Language texts and word lists as a basis for the vocabulary of the working Natural Language Artificial Intelligence developed decades before Siri and Cortana were created. Dissatisfied with the state of off the shelf PC hardware at the time, the folks at Psychsoftpc started designing and building high performance computers in-house to advance their research efforts. It became a natural progression for Psychsoftpc to start providing these computers to government agencies and later to private sector and college / university research facilities, and finally, to individuals looking for high performance computers for gaming, graphics design and 3D modeling. Psychsoftpc was among the first companies to offer Linux as a preinstalled option on its machines, the first to offer turn key entry level Linux Cluster Supercomputers affordable for small businesses, the first to offer a Digital Signage controller PC, one of a select few recognized by NVidia and Autocad for quality and capability in High Performance Professional Workstation design and manufacture, the first and only company to offer a Point of Sale Print Signage solution (currently in use in many major US retail chains), one of the first five companies to make authorized Tesla Personal Supercomputers, the first to offer Tesla Personal Supercomputers with Linux, the first and one of only two companies to produce turn key Hadoop Clusters for Big Data Analysis and the first to make Virtual Reality Ready Gaming Computers all while maintaining complete manufacturing in the USA right here in historic Quincy, MA. So we've done a lot and look forward to doing more in the future. We are above all, New Englanders, in all that entails. We believe in hard work, responsibility, Yankee ingenuity, a passion for innovation, a desire to be first in offering new technology and good old Massachusetts values. We love what we do and hope that shows. We believe in everyone here taking responsibility for the quality of our computers. That is why each machine is built from start to finish by the same person. We believe that that is the best way to ensure a quality computer. Multiple people means multiple points of possible failure. We also strive for zero defects in our building process. We do very well here, but we are human, so zero defects is an impossible goal. But that's the point. If you don't reach for the stars, you'll be forever stuck in the valley. So here's to 2017. May we all survive and live long and prosper. We may be Jedis but we still honor the Vulcan Way. Psychsoftpc is pleased to announce the expansion of our social media presence in the establishment of the Psychsoftpc Facebook Shop This enables people visiting Facebook to buy one of our Virtual Reality Ready Gaming computers with NVidia GTX 1080, 1070 or 1060 VR Ready GPUs and Intel CPUs right from the Psychsoftpc Facebook page instead of going to the Psychsoftpc site. All purchases are secured through PayPal a name people trust. Facebook has been a destination for a lots of folks and with the addition of shopping directly from a company's Facebook page, it aims to provide convenience for the millions of Facebook users and keep people on Facebook more instead of having them abandon Facebook to go to other sites to complete their on-line purchases. With our Facebook Shop presence, Psychsoftpc now has the ability to showcase and sell high performance gaming computers directly on our Facebook page, giving consumers another way of purchasing items of interest learned about on Facebook or other social media quickly and seamlessly. With all payments being processed through PayPal, customers need not fear credit card theft or account information retention by the online shops on Facebook. Psychsoftpc has always used PayPal for its processing, so this does not constitute a change. But by utilizing PayPal for purchase processing instead of their own, Facebook has established a level of trust for the consumers utilizing the Facebook Shop service. PayPal has a long established tradition of safety in on-line transactions. While the establishment of the Psychsoftpc Facebook Shop is new, it does not mean folks can no longer make purchases directly from the Psychsoftpc site. This is an additional way to reach and serve our customers, not a retreat from traditional on-line selling methods. Psychsoftpc is all about service and commitment to quality. The Facebook Shop merely gives us another outlet and the ability to reach more customers in a manner convenient to them. Psychsoftpc makes high performance Virtual Reality Ready Gaming Computers, GPU Tesla Personal Supercomputers, Graphics Workstations and turn key Big Data Hadoop Clusters in Quincy, MA. Computers Built in the United States With Traditional Massachusetts Craftsmanship by Psychsoftpc of Quincy, MA USA.